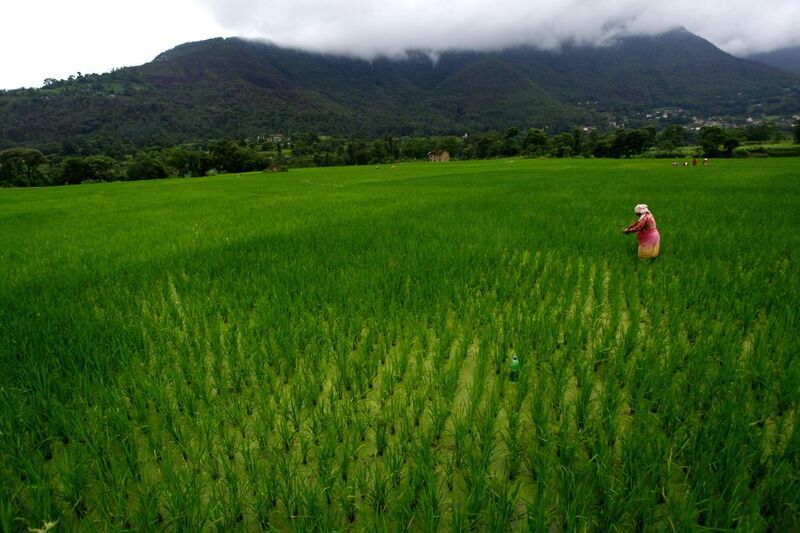 LALITPUR, July 26, 2016 - A Nepalese woman weeds a paddy field in Khokana, on the outskirts of Lalitpur, Nepal, July 26, 2016. 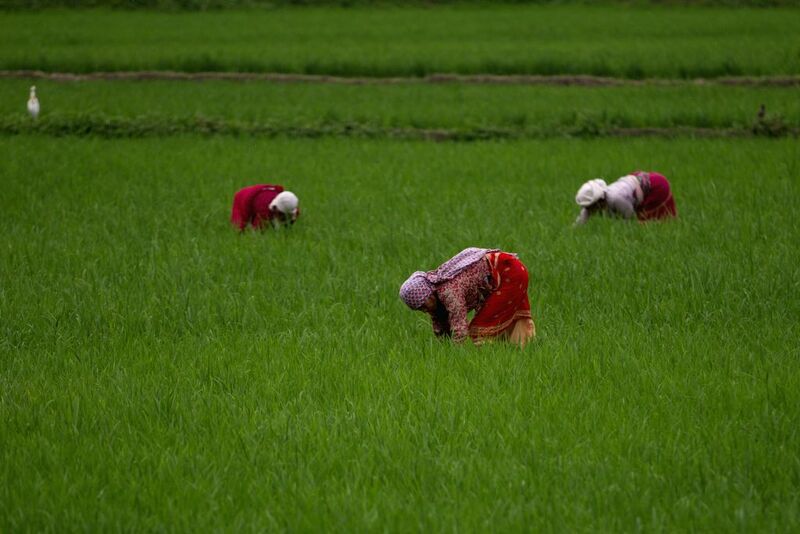 Agriculture is the major sector of Nepalese economy which contributes about 36 percent in the GDP. 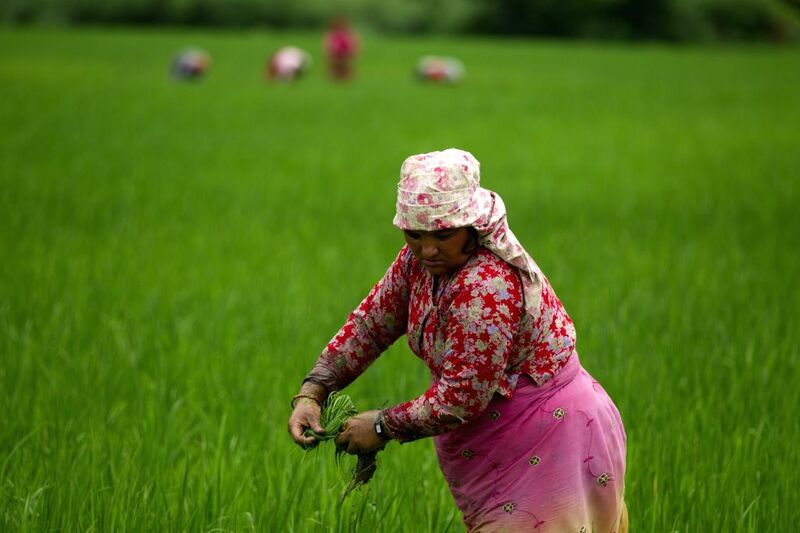 Nepalese women weed a paddy field in Khokana, on the outskirts of Lalitpur, Nepal, July 26, 2016.